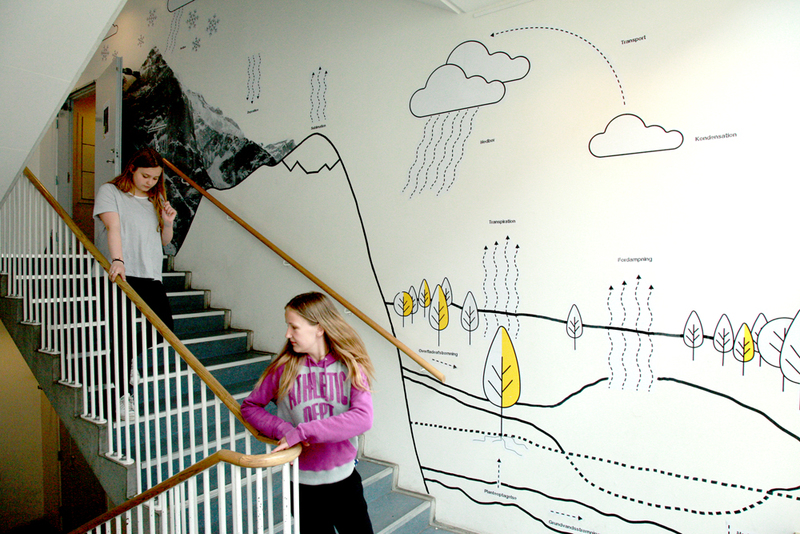 At Sortedam School, right by the Lakes of central Copenhagen, we designed a new interior for the stairs and hallways. 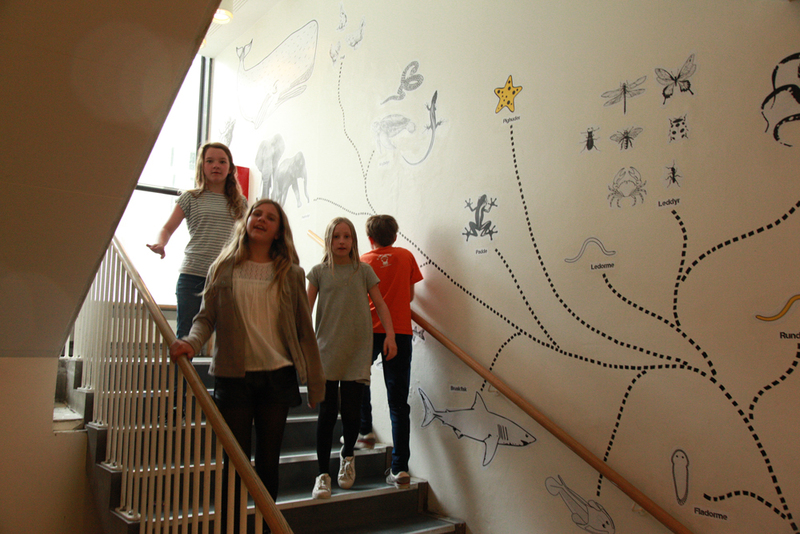 Based on the students’ visions, spatial logistics, and school budget, we were there to plaster the walls with identity and education. We conducted focus group interviews and made an online survey for all the important users of the school: students, teachers and administration. This led to two fundamental insights: Firstly the school had a very interesting history. 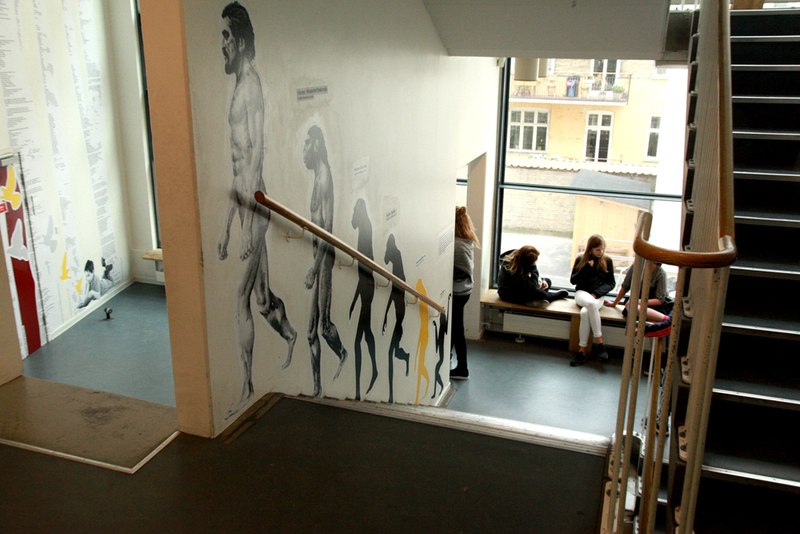 It was the first mixed gender school in Copenhagen and had many prominent alumni like the Danish natural science family [Niels, Harald & Aage] Bohr. Secondly and somewhat shockingly, none of the pupils knew about this history! 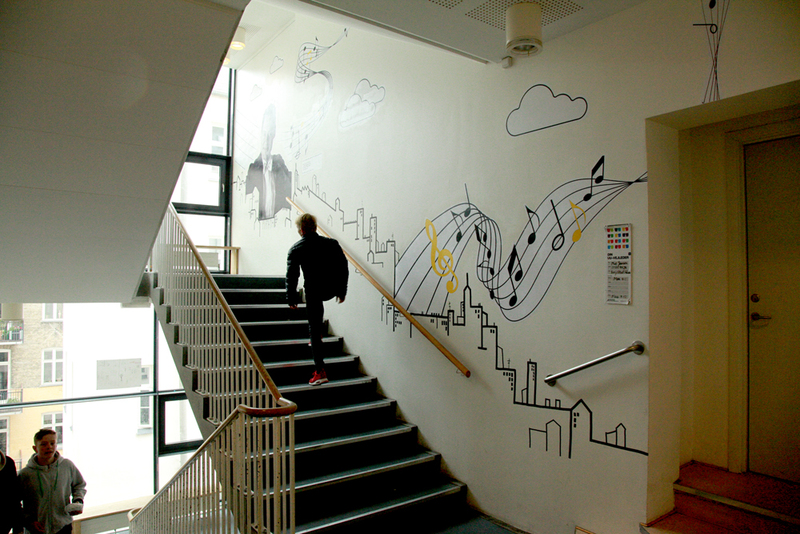 Furthermore, there was a lack of positive associations with the school. It was kind of an identity crisis. With the teachers’ help, we incorporated the school curriculum so that the design was relevant to the students’ learning and could be used as an extension of the classroom. 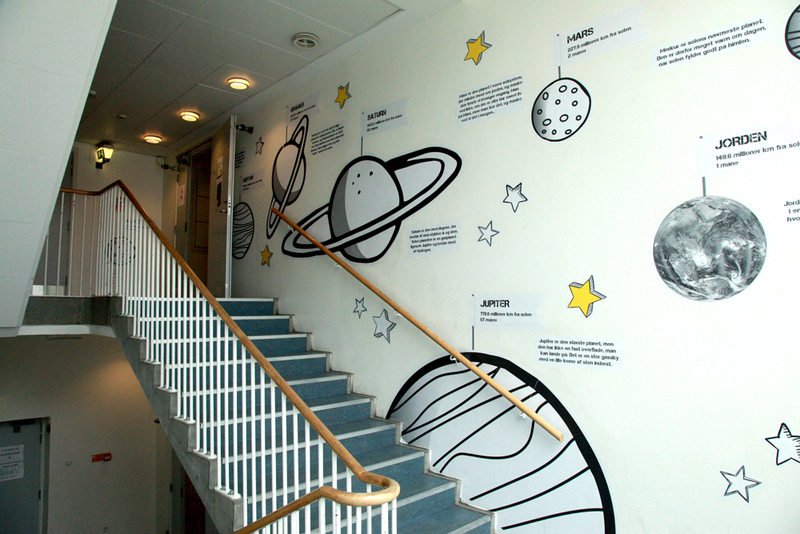 This led us to combine the school’s rich history with mathematical formulas, grammar, human development, geography, etc. 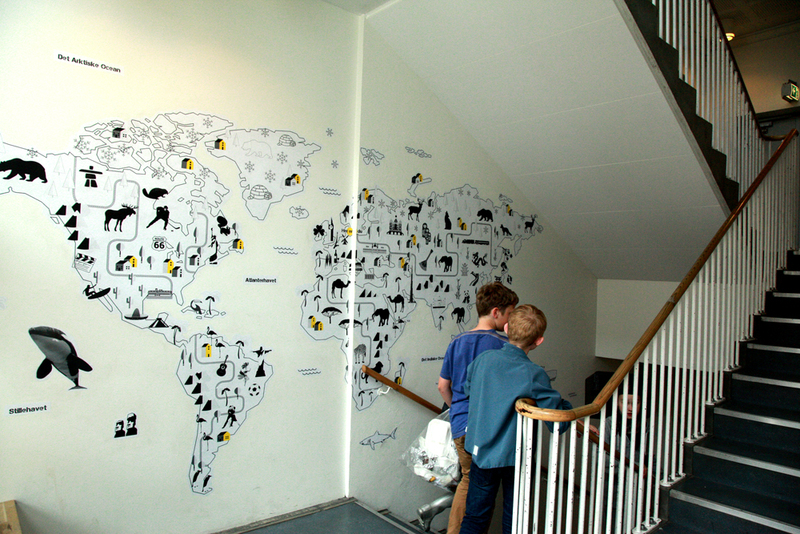 This was illustrated with fresh, young graphics inspired by street art workshops with the pupils along with their desire for something that looked ‘professional and cool.’ For example, we heard a story about the school’s founder, Hanna Adler, known for her ‘Object Lessons’, bringing a cow into the classroom for the pupils to see, smell and touch. This was combined with lessons in home economics about where meat comes from. So we plastered a life-size cow walking past the front door.